Is this negiya a possible shinuy tzurah? I am meikal, you can scrape this negiya. This is my opinion, there may be other opinions that will consider this as a lamed. I dont think we should consider the theory of "if one would have stopped", but rather only relate to what actualy is, and that is after the whole gag of the kuf is complete - then it definitly isnt a shayla of a nun kfufa. So, it's "where did the sofer stop? ", rather than "would have" but possibly not "what actually is". 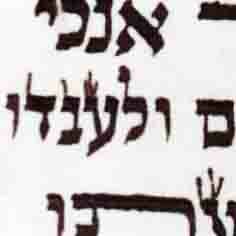 Still, I must go with R' Moshe in cases where the current "what actually is" is actually a kosher different letter. In this case, it does like if a Lamed were needed, it would be a Kosher one. Because of that, I could not be Machshir through scraping the Negi'a. I would have thought the same lich'ora, also since R' Shtern is machshir a lamed with a tzavar not at the end of the gag. HaRav Moshe - what's your line of thinking? please ask a tinok [I dont know if correct to cover the bottom part of the kuf in this case, so let us try covering and see what a tinok reads]. 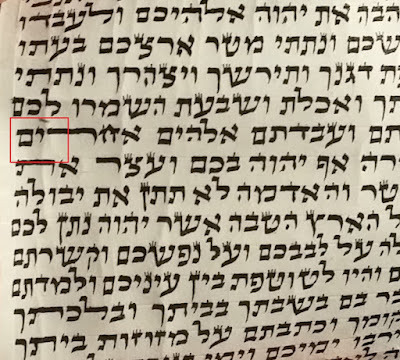 I'd presume you'd have to cover up the bottom of the kuf because what were concerned about is whether it became a lamed after the top part was written. If we don't cover up the regel kuf then it may hinder this analysis. What do you think Rav Moshe? If you cover the bottom of the kuf, a child would for sure see it as a lamed. But why cover it? 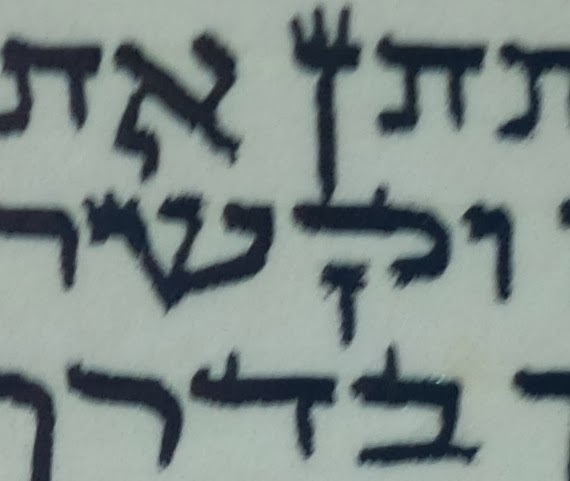 There's no letter it could look like other than a lamed once it's covered. yes, you are right cover the bottom. The same as any letter you have a safek about its tzura. Either he won't recognize it or its a lamed. If he won't recognize it then it was never a lamed and you can scrape the negia. If he says lamed then that means it was a lamed before. I confirmed the following with Rav Friedlander. 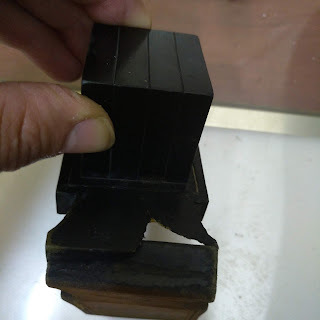 Firstly he said it appeared to be a fairly thick connection (based on an enlarged printed image), which is a factor. He said that the svara of Rav Moshe as to why it should not be considered to have created a nun kefufa momentarily (hence pasul) is based on Rav Shlomo Kluger. However, he said that this is not halacha lemaaseh and this is widely agreed among the poskim and therefore it is pasul. I didn't ask about the lamed since it was not lemaaseh as it was already pasul prior to that. I said to him that even leshitas Rav Shlomo Kluger, that we judge based on the completion of the stroke (gag) it should be pasul (before ever getting to a shaila of a lamed again) because of shinui tzura, not to another letter, but because it now looks like nothing, to which he seems to have agreed.